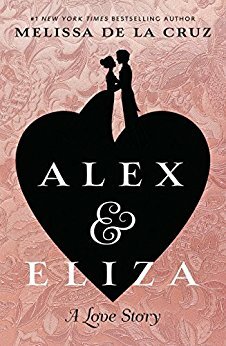 We’re helpless for the Schuyler Sisters (you know, Angelica, Eliza…and Peggy), so we read Alex & Eliza by Melissa de la Cruz with Andrea. Unfortunately, the author threw away her shot at writing something we didn’t want to burn. Make sure your vaccines are up-to-date before you listen to us discuss some Hamilton fanfiction that has a lot more smallpox and a lot less love than we were hoping for. Candy pairing: Andrea says peppermint coconut, Kait says a picked-over Russell Stover sampler, Renata says a chocolate orange. Coming up next: The Amorous Adventures and Intrigues of Aaron Burr by Anonymous.